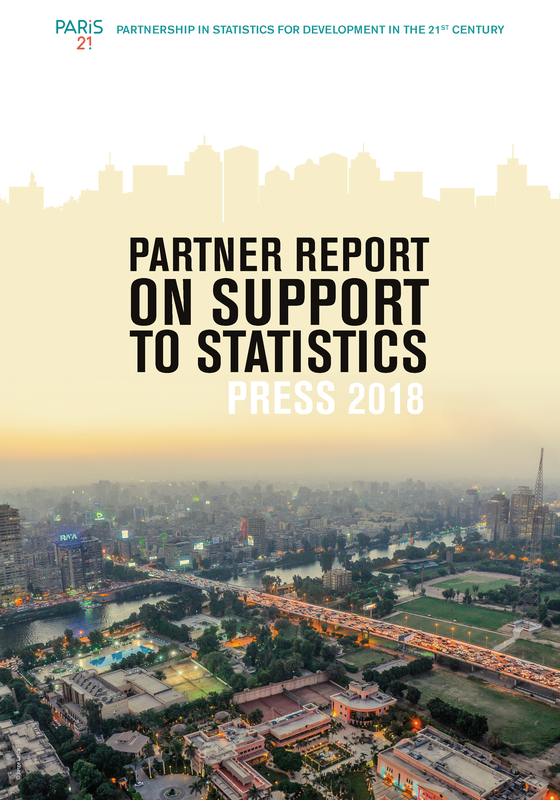 The Partner Report on Support to Statistics (PRESS) analyses trends in aid for statistics in developing and emerging economies and advocates for an increase in funding for statistics to boost the chances of achieving the Sustainable Development Goals (SDGs). 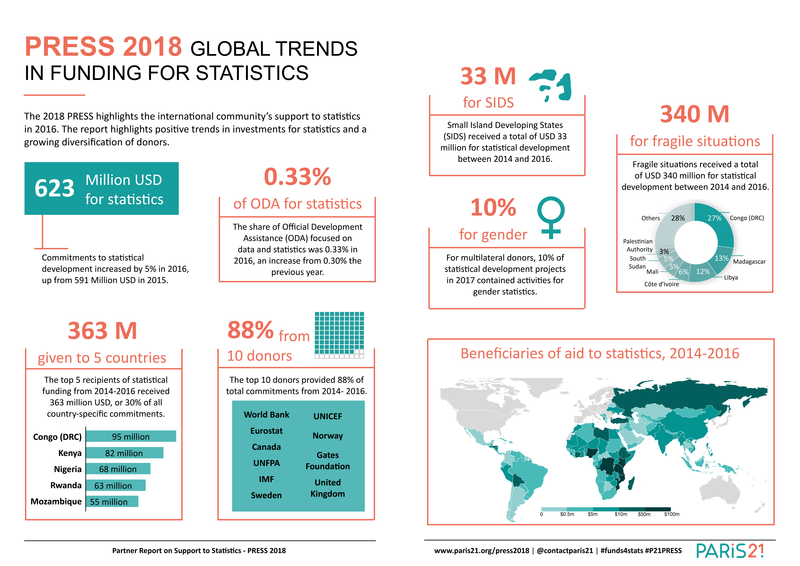 Using newly available data, the PRESS 2018 provides a comprehensive snapshot of resources for statistics, showing that funding remains too low to meet national, regional and global targets. This year's report features three new developments. First, this year's report tracks statistical funding for all developing countries. Second, the diversification of donors over the past few years - particularly the entry of philanthropic organisations - is an encouraging sign. Third, the pilot on gender statistics sheds some light on the variety of statistical sub-areas where donors are committing their resources. Support to statistics amounted to USD 623 million in 2016. The share of Official Development Assistance (ODA) focused on data and statistics was 0.33% in 2016. Demographic and social statistics received the most support (28% of total commitments). Support to environmental and multi-sectoral statistics reached a record level with the adoption of the SDGs and 2030 Agenda. The top five donors of development co-operation in statistics (UNICEF, IMF, European Commission/ Eurostat, UNFPA, World Bank) provided 69% of total commitments in 2016. This decrease from the previous year (75%) indicates a trend towards diversifying donors. Canada and the UK led bilateral donors in the same period. The Bill and Melinda Gates Foundation led philanthropic foundations in support to statistics. Beneficiaries of aid to statistics, 2014 to 2016. This map is for illustrative purposes and is without prejudice to the status of or sovereignty over any territory covered by this map.